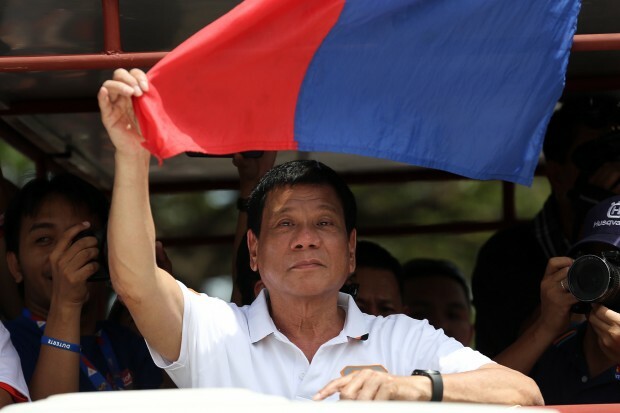 The archipelago of Philippines just elected a new president: Rodrigo Duterte. The people have spoken and we should respect their electoral voice. It had been one of the most divisive national elections in the history of the nation but one that would be remembered for its peaceful proceeding. The other four presidential opponents have declared their concession respectably and urged their followers to support the newly elected leader in rebuilding the ailing nation whose economy used to be the strongest in Southeast Asia but is now lagging behind its neighbors'. The Filipino people should set aside the political bickering and be a part of the healing process. As it is said: IF YOU ARE NOT PART OF THE SOLUTION THEN YOU MUST BE PART OF THE PROBLEM. Let us be optimistic that President Duterte proves to be more than just a charismatic firebrand. Let's hope and pray that he can deliver to the Filipinos what the great leader Lee Kuan Yew delivered to the Singaporeans. Let us all be vigilant in how he tackles the endemic corruption in our country in the first "6 months" of cleansing time that he had been rallying about. We voted! We did our part! But our most important civic responsibility is what we can do for our nation in the next 6 years with Duterte-Robredo at the helm. Time to clink glasses and toast for a Better Philippines!